What is happening at ABC?! The alphabet network is clearing house, with most of their bubble shows getting the swift cancellation axe. 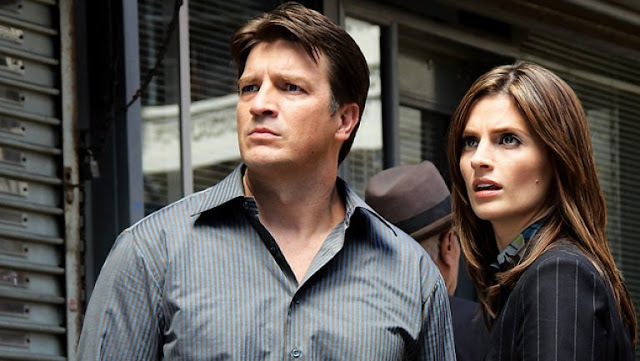 On Thursday, ABC revealed that several programs, including the long-running Castle and Nashville, were among their latest cancellations. In addition to these favourites, programs like The Muppets, Galavant, The Family and Agent Carter will also be ending this year. While I FULLY expected The Family and (unfortunately) Agent Carter to end, Castle's fate is an utter surprise. The network earlier revealed that its co-lead, as well as another cast member, was fired to cut costs, so it was safe to guess that the show would be coming back. (I was wrong!) With this announcement, next week's season finale will be its SERIES finale. I'm sad to see Nashville end. I watched the show early on when it started a few years ago and I recently binge-watched every episode when it was on Netflix. Fun fact: I still have 'Buried Under' from the first season on my playlist! It's also a shame to see Agent Carter go since it is a favourite with superhero fans. ABC didn't just hand out bad news day, they had some good news for other waiting programs. American Crime, The Real O'Neals and The Catch were renewed for another season each. Are you sad to see these shows end? Share your comments below!